If you have a Twitter account or regularly send text messages, it's highly likely that you've used or received emoji. These characters include symbols and pictograms that represent a host of everyday objects and activities plus, crucially, a selection of faces that denote a range of emotions from happy to sad, angry, confused, surprised or tired. The word 'emoji' literally translates from Japanese as 'picture' (e) and 'character' (moji). The Story of Emoji traces emoji from their origin as a symbol typeface created specifically for a Japanese mobile phone provider in the late 1990s to an international communication phenomenon. As well as a history of emoji and an interview with their creator, Shigetaka Kurita, the book includes an exploration of non-text typefaces, from the decorative fleurons of the early days of the printing press to the innumerable digital typefaces available today, to the use of emoticons, ASCII art, and kaomoji in typed messages. 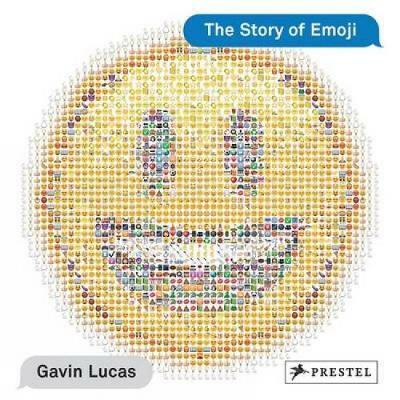 It also looks at an array of artworks, fashion lines, special character sets, advertisements, and projects that convey emoji's widespread impact on contemporary culture.Finally, the book concludes with a section for which a group of illustrators, artists, and graphic designers have created original emoji characters they wish existed, including bacon, a vinyl record, and even a 'stabbed-in-the-back' emoji.